At FTS, our commercial fire alarm systems consist of the most effective, top-of-the-line equipment and our highly trained fire alarm specialists will install your customized system. We understand the requirements necessary to assist you with obtaining your Certificate of Occupancy and can conduct the testing and inspection of your system. We will design your system and walk it through your local submittal and approval process.We will also install service and monitor your vital fire alarm system for the life of your business. 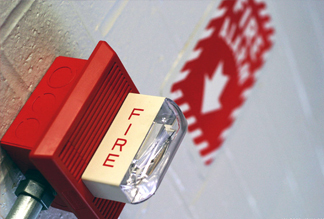 FTS is the complete one stop fire alarm solution. Simply fill out the form below and tell us a little about what you are looking for. No obligations. No hassles. Have a question or comment? Type it in the box below.